Welcome to the Flower Cart Florist of Old Bridge! 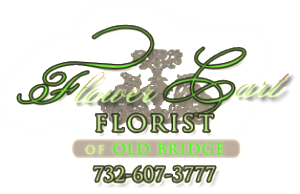 Flower Cart Florist of Old Bridge proudly serves Old Bridge, NJ and the surrounding areas. We are family owned and operated. We are committed to offering only the finest floral arrangements and gifts, backed by service that is friendly and prompt. Your satisfaction is our #1 priority, not just because it’s our job, but because we care.Whether you want to convey sympathy, encouragement, love, or simply want to let someone know you care, we have a wide array of bouquets to choose from, or we can put together something special just for you.Because all of our customers are important, our professional staff is dedicated to making your experience a pleasant one. That is why we always go the extra mile to make your floral gift perfect.